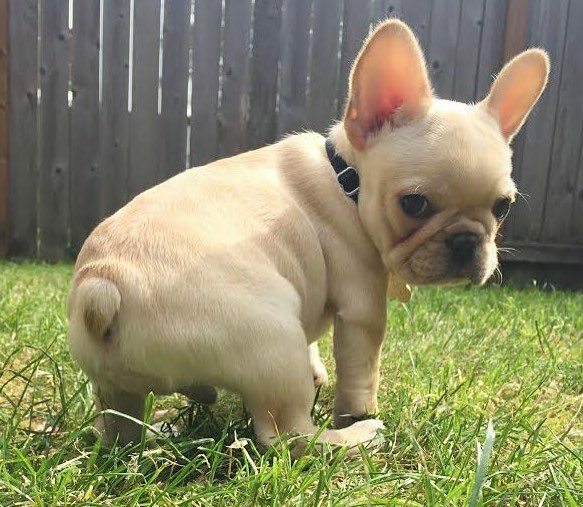 The French Bulldog is a small sized domestic breed that was an outcome of crossing the ancestors of Bulldog brought over from England with the local ratters of France. 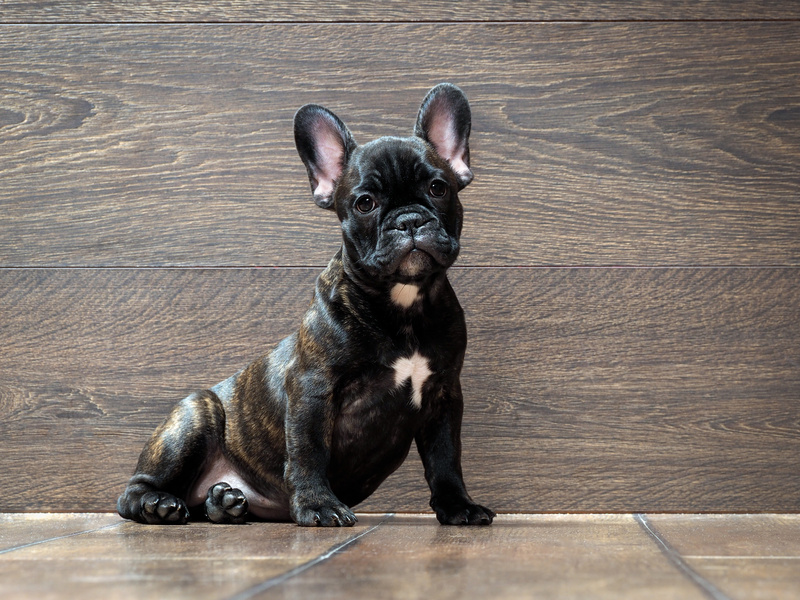 Because of their adorable, smart and cute demeanor, the French Bulldog stood fourth in respect to popularity in the U.K. in 2015 and third in Australia in 2017. Muscular built with heavy bones, these are the following features that characterize a French Bulldog. 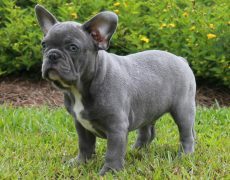 Ears: Bat ears, which are high set, broad at its base and elongated and rounded at the top, standing erect. 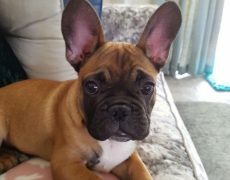 There had been a lot of controversies regarding the ear pattern, and it was all because of the efforts on the part of the American dog enthusiasts that the bat ear replaced the rose ear, else it would have resembled precisely like the English Bulldog’s miniature version. 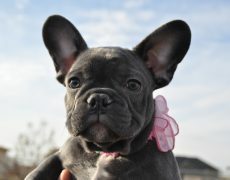 Fawn: Their solid coat texture that may be golden tan, reddish tan, light tan or cream, gives them an elegant look. 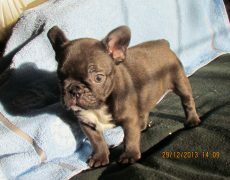 Brindle: They possess a dark coat with the area of their head, toe, chest, and neck striped with white. 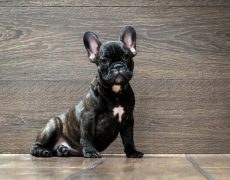 The brindle variety comes in a host of combinations like the seal brindle (light hair, white in color that could be invisible giving them a jet black color), tiger brindle (light-haired, resembling a tiger’s coat), black brindle (the most familiar variety), brindle pied (white body with black or dark patches, either in one of their eyes, feet or on the back or region surrounding their face). 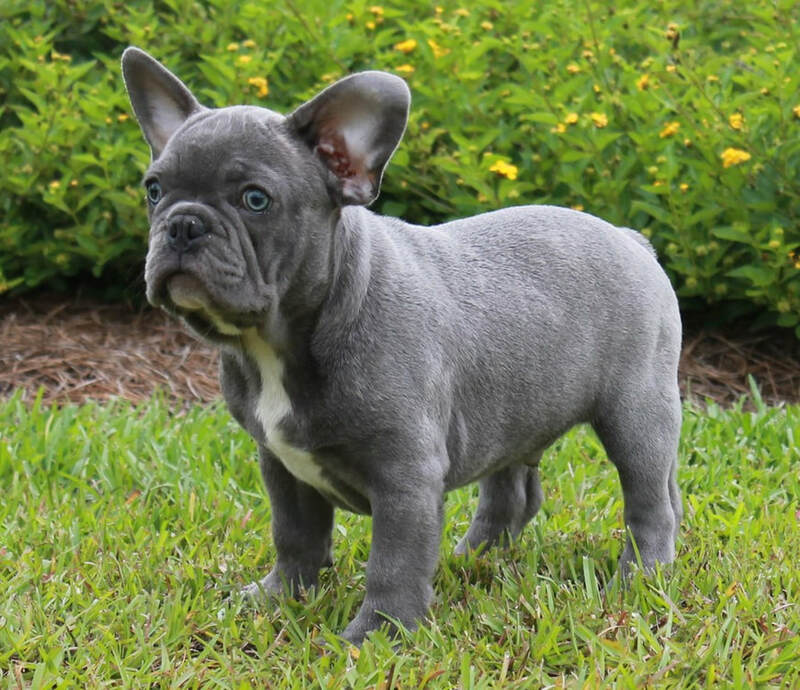 Bluish-gray: They are rare and an outcome of the diluted gene that the puppies may take after from both the parents. 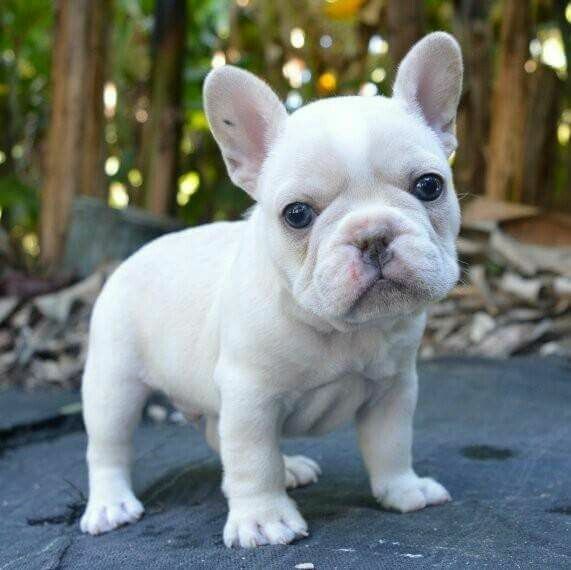 Pied: Such dogs have a white body with one or many dark patches. 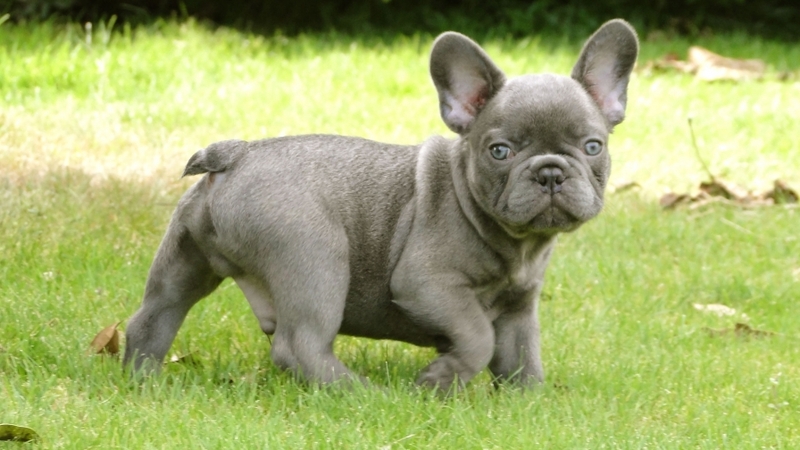 Small to medium: This is the standard size of the Frenchies, and these little dogs have a compact body stature. 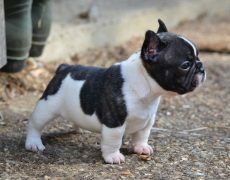 Teacup or mini: The French bulldog is small in size, and the teacup kind is not a variety but involves extremely miniature dogs which have been downsized to create an attractive, adorable breed. 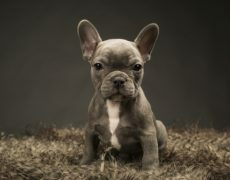 However, such dogs are prone to a host of health problems and not advisable to be purchased. Short-haired: This variety is the commonest, with a gentle coat complementing its short hair. Long-haired: The long-haired varieties are rare and an exception. 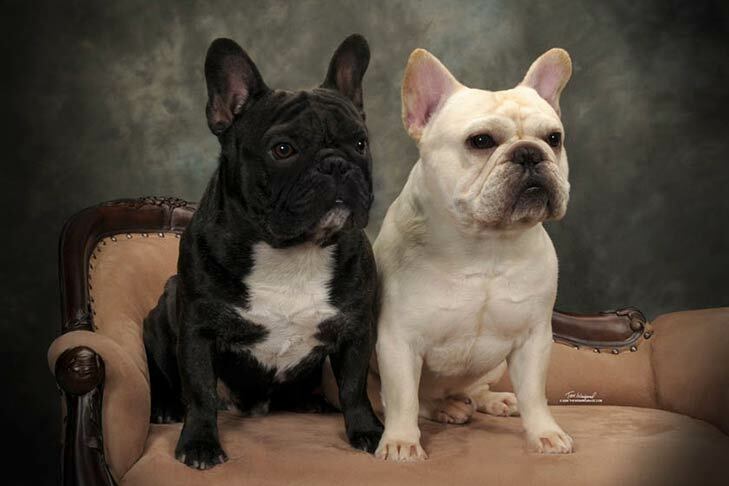 French Bulldogs would only have long hairs when both the parents carry a recessive gene that is rare in these breeds. 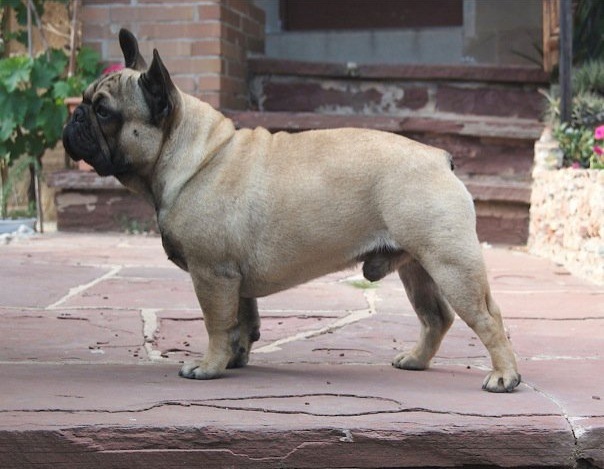 This breed has also been mixed with other purebreds to create a host of interesting dogs. 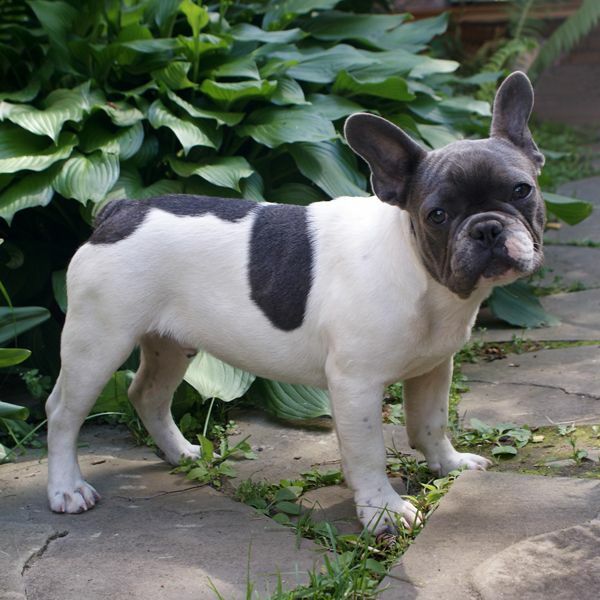 Check here to know more about the popular French Bulldog mixes. 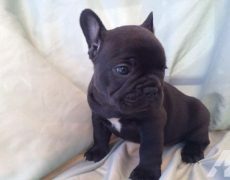 The French Bulldog of the present times is said to be descendants of the dogs owned by the Molossians (Greek tribe of the ancient times). 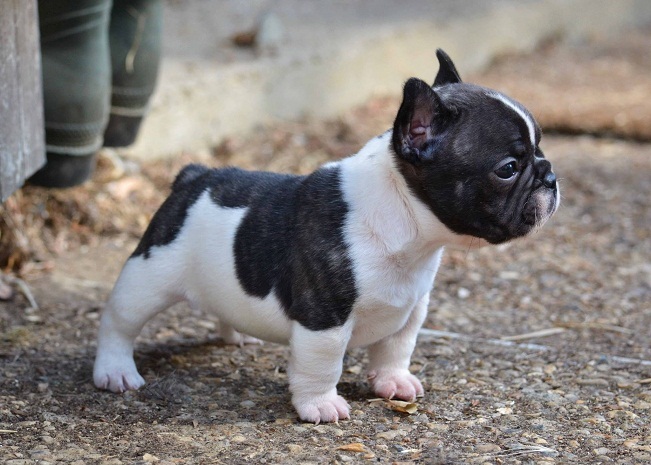 Being a toy-sized variety of the mighty Bulldog post their development in England, they had attained immense popularity among Nottingham’s lace workers. 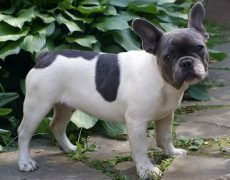 When the latter migrated to the French region of Normandy post the Industrial Revolution, they tagged their toy bulldogs along. Their popularity in the countryside of France gradually increased, and they were crossed with a host of other canines such as the Pug and terrier breeds that were in turn responsible for their unique features like the bat ears. 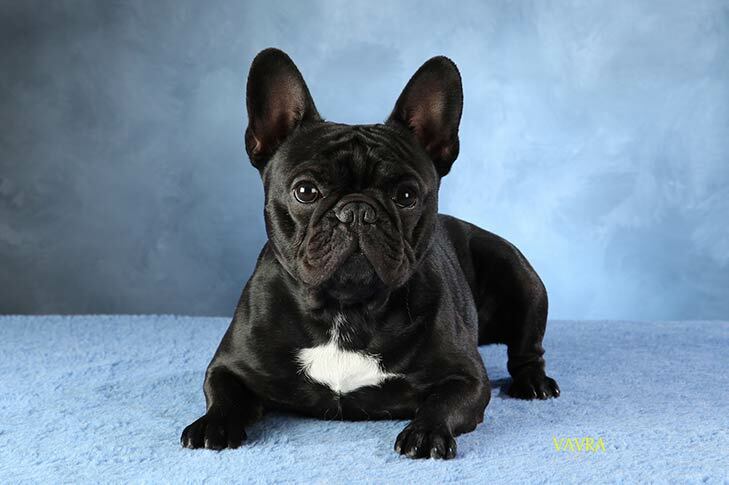 The French Bulldog had gradually become a household name in Paris particularly among the fashionable female class. 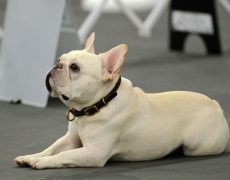 Its fame spread to the United States in 1896, after its participation in the show organized by the Westminster Club. 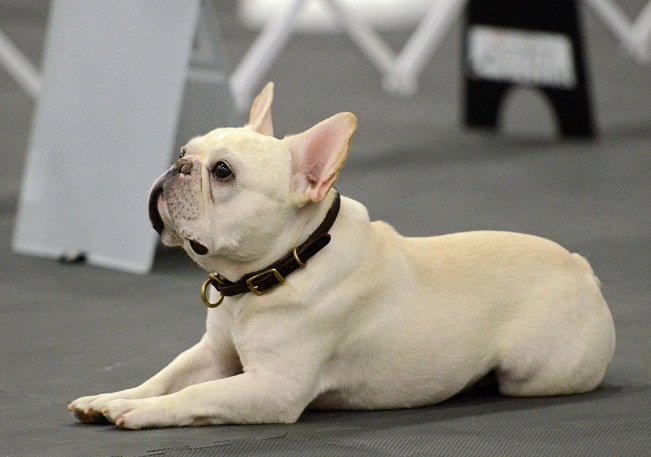 After AKC’s recognition, it went on to become America’s fifth popular AKC recognized breed by 1906 and ninth by 2014. 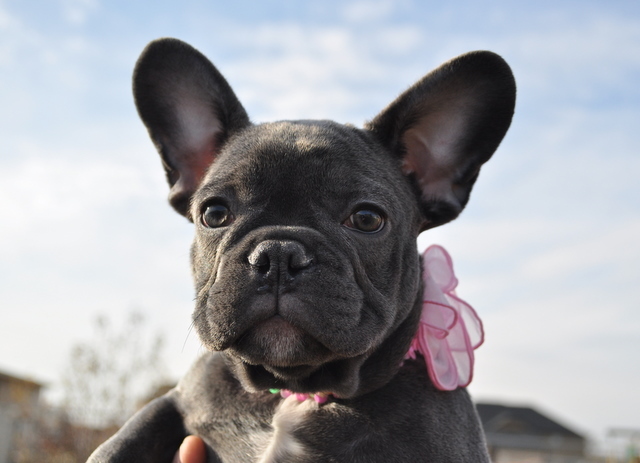 The Frenchie is a smart and affectionate breed, excelling as a perfect companion dog, always desiring to be in close contact with its human family. 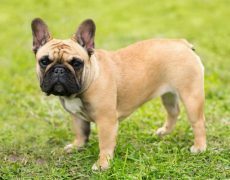 Leaving the French Bulldog breeds alone for a prolonged period could trigger separation anxiety, causing them to resort to destructive means like chewing whatever is available at hand as well as biting or barking unnecessarily. 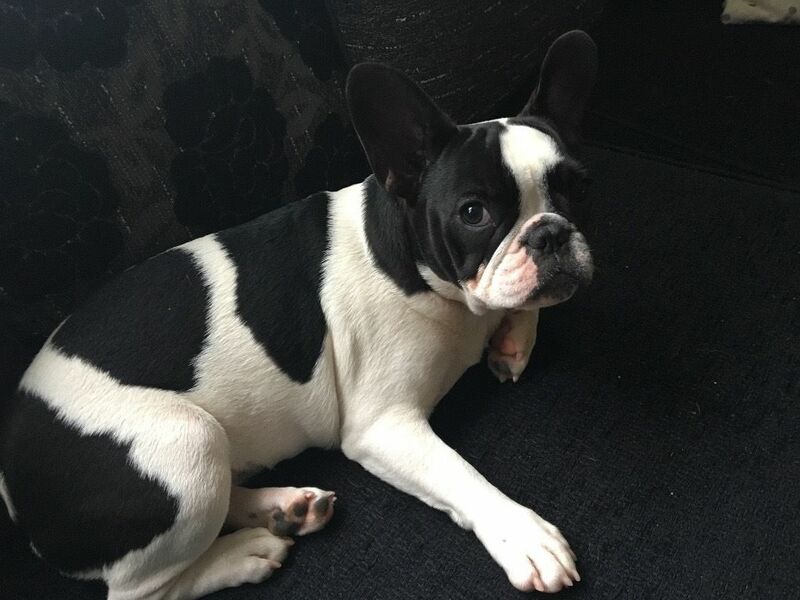 They are highly attentive and often go after their owners from one room to the other without any hassle. On needing their master’s attention, they would elegantly alert him with a tap of their paw. 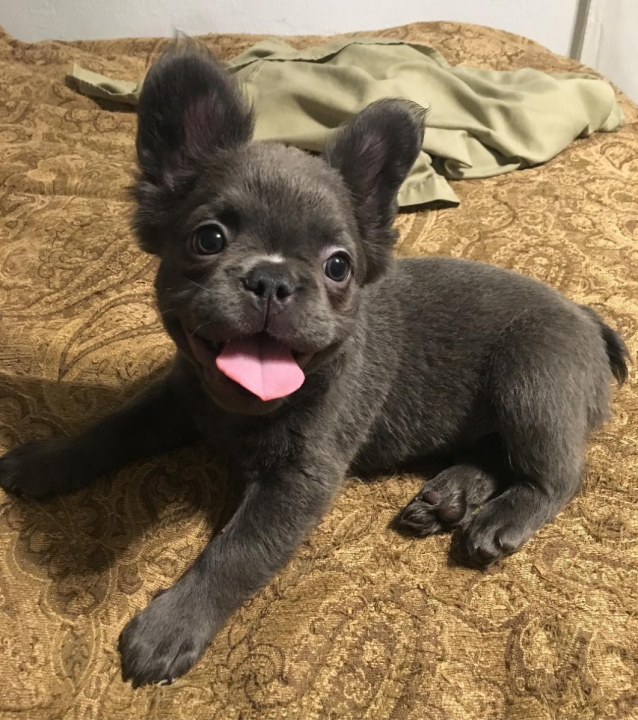 Most Frenchies are known to greet strangers in a friendly way since the beginning or gradually after being introduced to them. 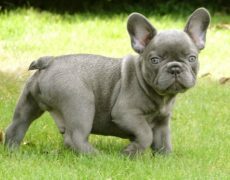 Hence, this sociable quality of theirs does not qualify them for a good watchdog. 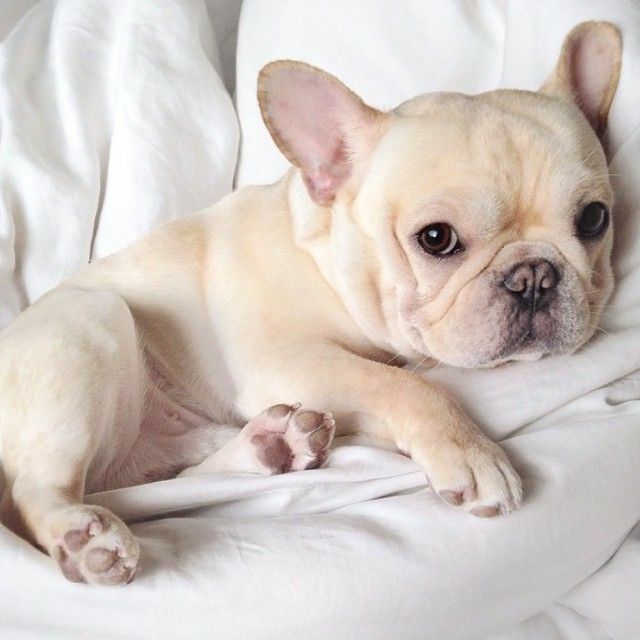 Since they are calm-tempered and do not bark, unless encountered with an exceptional situation, they excel as great apartment dogs. They share a good rapport with kids though supervision is needed if they are interacting with little ones. 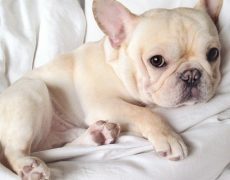 These dogs also get along well with other canines as well as cats, though they could be jealous if the latter is getting more preference from the Frenchie’s loved ones. 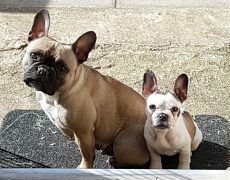 They are playful, having a moderate exercise requirement, sufficing with a fifteen or twenty-minute walk on a regular basis, alongside sufficient playtime. 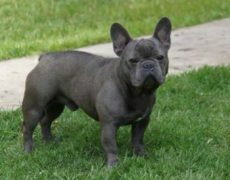 However, ensure to take them out when the weather is cool as high temperatures could put them at risk of heat stroke. They are minimal shedders, hence combing them once a week using a brush with medium bristles, a rubber grooming tool, or even a hound glove would help them in maintaining a good look. 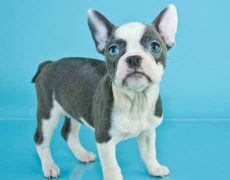 Since it has a lot of wrinkles, they should be cleaned on a routine basis as an accumulation of moisture or dirt in the skin folds could result in an infection. In fact, for the same reason, you would need to dry it well after bathing it. Other hygiene needs include cleaning its ears and eyes using a warm cloth, as well as brushing its teeth well to keep infections at bay. 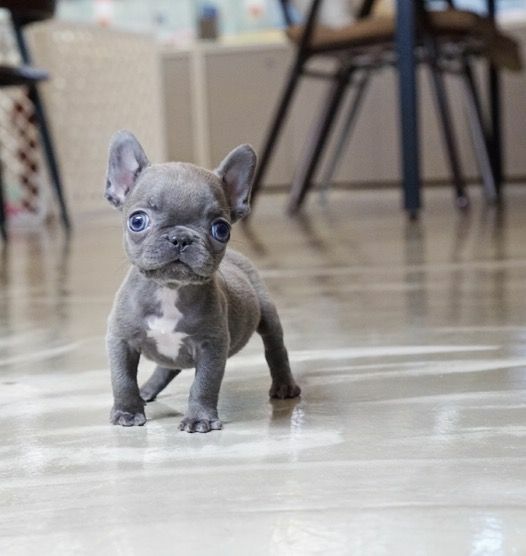 Since this is a brachycephalic breed, overheating could trigger breathing problem, hence during warm temperatures, make sure that your house has an air conditioner or is cooled well. 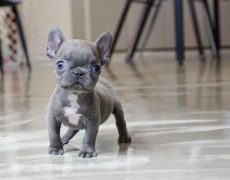 In case of overheating, rinse him with a cold, wet towel, but the water must not be ice cool since in such cases your pet could go into a shock. 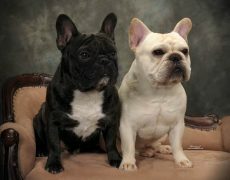 On the other hand, when you take them out in the chilling temperatures make the Frenchie wear warm clothes. Note: They cannot swim because of their heavy frontal structure and should never be left alone near a tub, pool or any other water body. 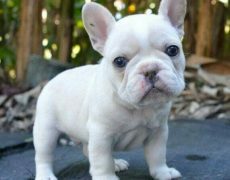 Being a flat-faced breed they are susceptible to breathing difficulties, also possessing sensitivity towards anesthesia. 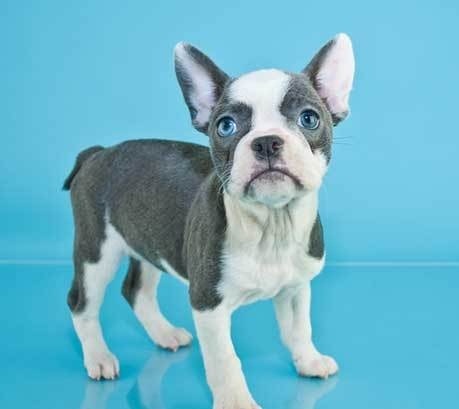 Other health issues they are highly prone to include cherry eyes, hip dysplasia, patellar luxation, autoimmune skin problems, intervertebral disc disease, cleft palate, and allergies. 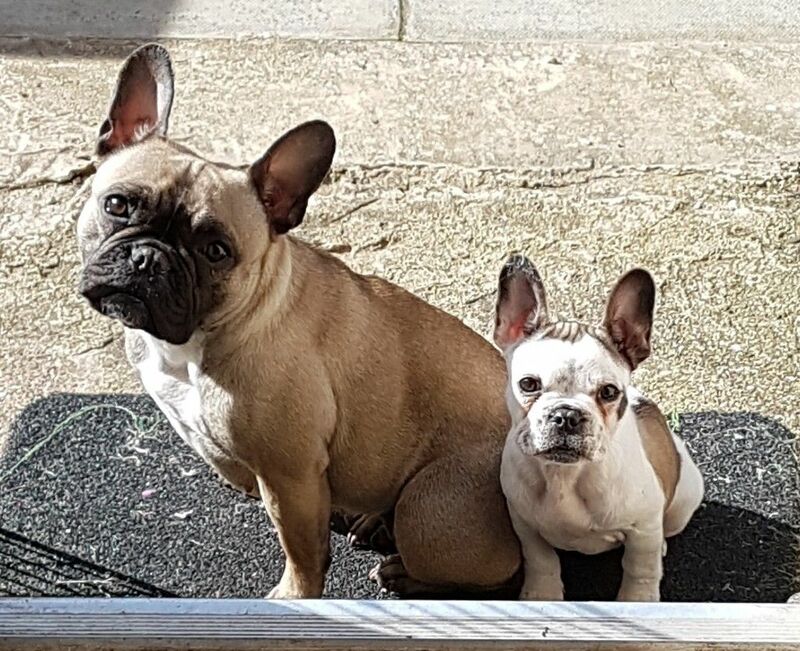 The UK French Bulldog Health Scheme had been launched in 2010 in October, comprising of bronze (basic vet checkup), silver (DNA test) and gold (hip and spine evaluation) levels. 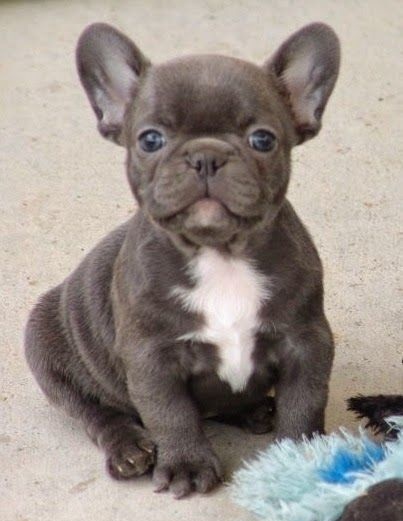 They are moderately intelligent breed, though slightly stubborn. Hence a tactful trainer is needed to handle them with firmness. 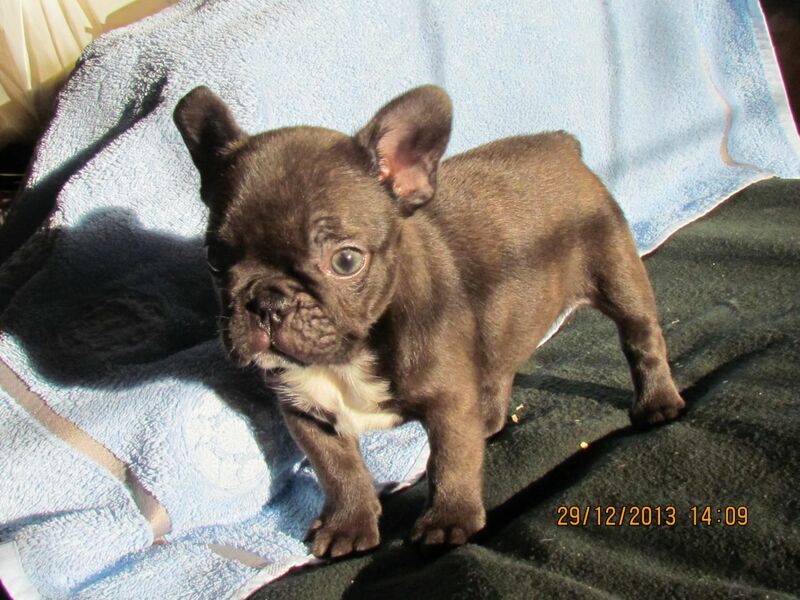 Since they are prone to separation anxiety, crate training is essential for the French bulldog puppies. 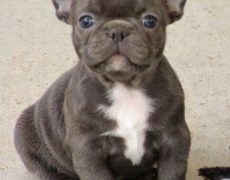 They should be acquainted with the crate right from their childhood, and initially made to live there for a short span which should be increased gradually. 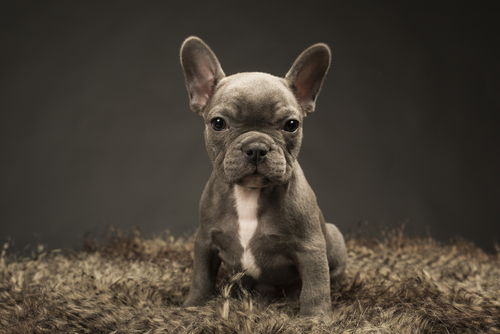 Put your pups favorite toys and belongings within to make him feel comfortable. 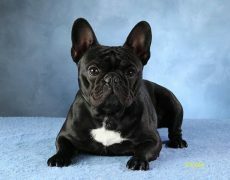 However, keeping him there for prolonged periods could make your Frenchie irritable. 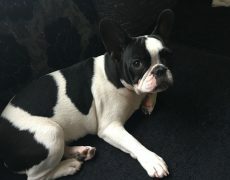 Never use the crate as a mode of confinement for punishment. Socialization training would help them to distinguish the good from the bad. Once they understand the difference between a friend and a foe they would be able to identify a wrongdoer and not greet every stranger with friendliness. 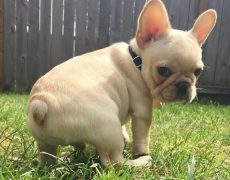 The National Research Council of the National Academies mentions a French Bulldog weighing 25 pounds need 780 kcal in a day. High-quality dry dog food having meat protein like chicken, fish, lamb, and beef (22% for the puppies and 18% for adults according to AAFCO), fat (canola oil, chicken fat, flaxseed) and omega-3 fatty acid are recommended. If you are giving them homemade food in combination, then you should provide it in measured amounts in consultation with a doctor. They are said to be one of the costliest breeds ranging from $1,400 to $8500 since maintaining them is indeed highly expensive. Normal delivery is next to impossible since they have broad shoulders, and the process of c-section is costly. A lot of money also goes into their feeding and healthcare. They are banned from some commercial airlines as the cargo space has a high temperature and because of their snub nose, many are known to incur breathing problems and even die. 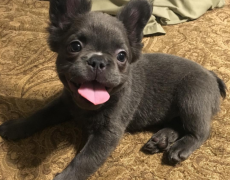 They were ranked 109 in The Intelligence of Dogs by Stanley Coren, though a Frenchie by the name of Princess Jacqueline that passed away in 1934 was an exception as she could comprehend about 200 words. Gamin de Pycombe, a Frenchie was said to have sunk with the Titanic on the 15th of April, 1942. 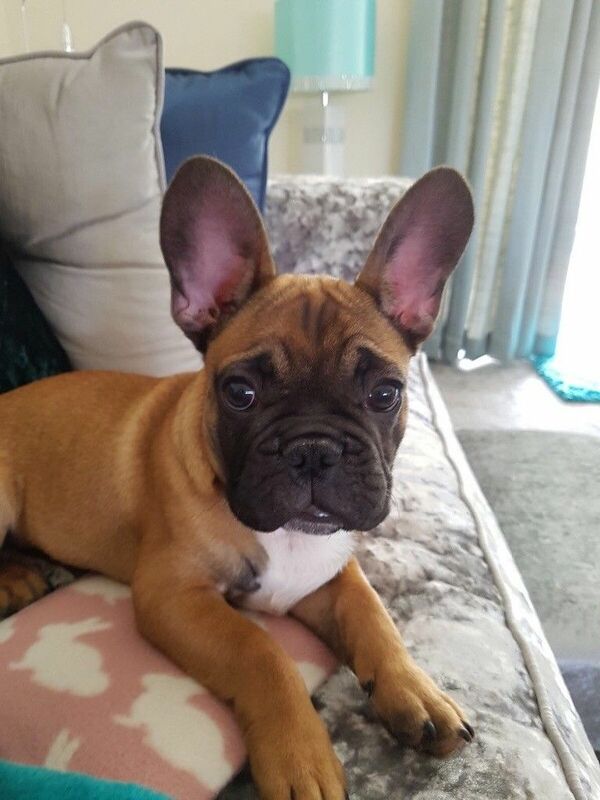 There had been a lot of controversies regarding the ear pattern, and it was all because of the efforts on the part of the American dog enthusiasts that the bat ear replaced the rose ear, else it would have resembled precisely like the English Bulldog’s miniature version. 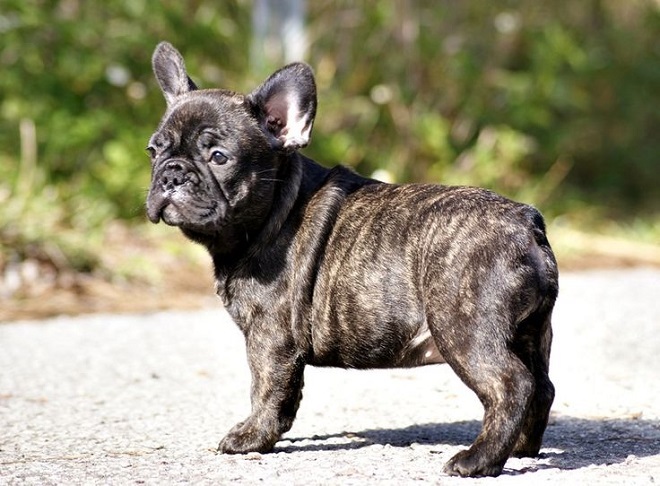 The brindle variety comes in a host of combinations like the seal brindle (light hair, white in color that could be invisible giving them a jet black color), tiger brindle (light-haired, resembling a tiger’s coat), black brindle (the most familiar variety), brindle pied (white body with black or dark patches, either in one of their eyes, feet or on the back or region surrounding their face).